Nepal Leadership Academy (NLA) is a signature component of the Daayitwa Abhiyan, which envisions a resilient and thriving Nepal where all citizens are capable and embrace their responsibilities to collectively transform societal challenges into innovative opportunities. Towards this vision, NLA builds leadership capacity in young change-agents – who are guided by the shared values of collaborating, innovating, and serving and the shared principles of community, justice, and sustainability – to architect effective policy, business and civic solutions that tackle the most grueling adaptive challenges in Nepal. 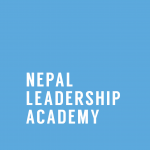 Built on extensive experience from conducting leadership and entrepreneurship courses since 2013 in the US and Nepal, NLA is offering a customized leadership and entrepreneurship courses for young students from different fields and of diverse background from across the globe; executive professionals from various sectors including civil society, politicians, and bureaucrats. In November 2008, 55 young leaders came together to brainstorm critical challenges in Nepal and identify ways to collaborate at national and global levels. They noted political instability, lack of opportunities and apathy for change as three pivotal issues and in addressing them launched a platform called Nepal Ko Yuwa (translated as ‘Nepal’s youth’ in English). For the next 3 years, NKY supported local and diasporic youth to share ideas and support each other in their Nepal-based community projects. Major activities included national youth forums in the US and Nepal to cross-pollinate ideas and mobilize volunteers for community service. In 2011, noting the growing network and net-worth of Nepali diaspora, NKY launched the global Walk for Nepal campaign to organize Nepalis and friends of Nepal in supporting Nepal-based NGOs through fundraising walkathons. In 2011 and 2012, NKY registered itself as a 501c3 non-profit in the US and as an NGO in Nepal respectively to more effectively use global and national resources for greater impact. In 2012, NKY launched the Naya Ghar program to promote innovation in rural social and business enterprises. The program has now transformed into Rural Enterprise Acceleration Program (REAP) within Daayitwa. In 2013, NKY launched the Dayitwa Public Service Fellowship program to promote innovation in public projects. In 2015, NKY changed its name to Daayitwa – The Responsibility Movement to better reflect its shared value of responsibility and underscore the gravity of collaboration between youth and authority figures for progress.